From the portfolio Five Days/Five Nights. 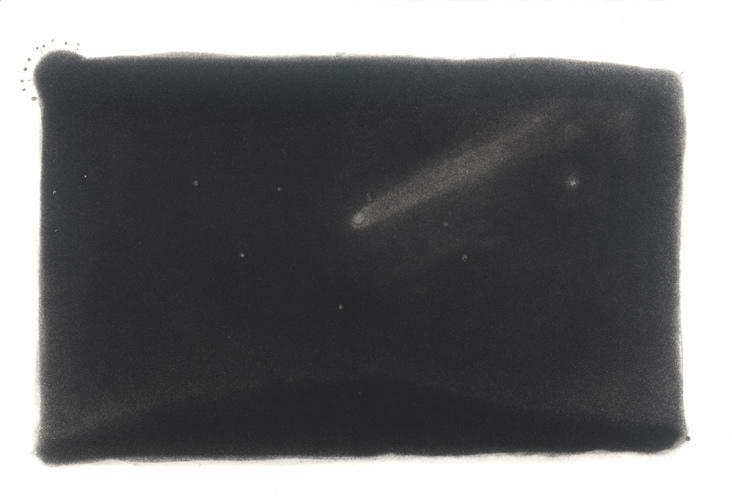 This work is based on observations of Comet Hyakutake seen from the clear, dark skies of the Shenandoah mountains in 1996. 1996 Image: 3 1/4 x 5 1/4" Sheet: 13 1/2 x 16"